If you want to change your life, if you want to change the lives of those around you, if you want to change the world, do this one simple thing: Say God Bless You to yourself. Say God Bless You to those around you. Say God Bless You to the world. 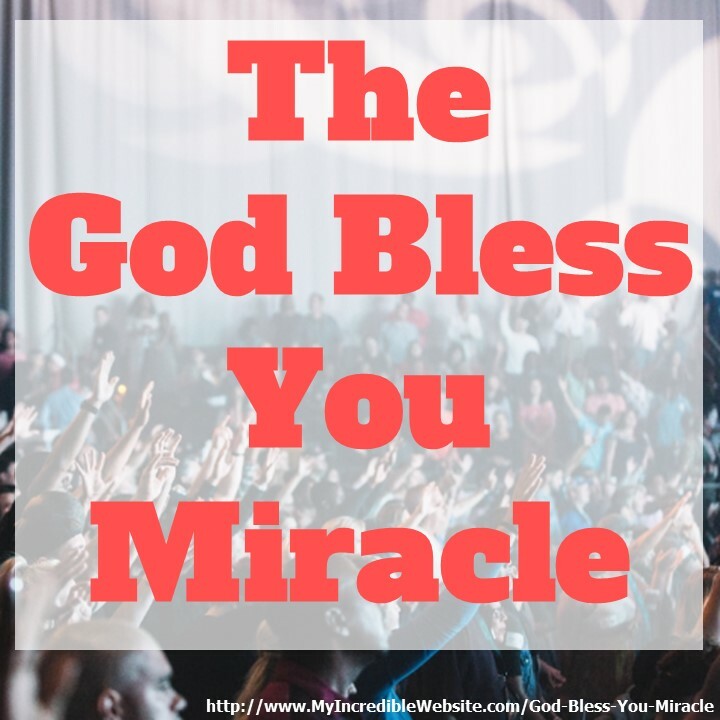 Join me in the God Bless You Miracle! It’s really a simple thing: Just say God Bless You to yourself whenever you need a lift. That’s for yourself. Say God Bless You for your family. Say God Bless You for your neighbors. Say God Bless You for your enemies or those you don’t like. Say God Bless You for your friends and those you do like. Say God Bless You for people you don’t know. Say God Bless You for those you’ve just met. Say God Bless You for anyone who needs help. Say God Bless You for anyone who can give help. That’s for those around you. When you read about some bad news, say God Bless You for the victims. God Bless your city. God Bless your state. God Bless your country. God Bless your leaders. God Bless the world. That’s for the world. Whenever possible, be specific. Say God Bless You for your wife Gail (that’s my wife). Say God Bless You for your pets. Name them. God Bless President Trump. God Bless Syria and the Syrians. 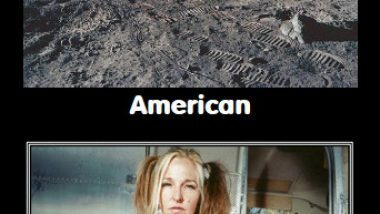 God Bless Russia, Ukraine, France, Israel, Egypt, Australia, Chad, Brazil, Argentina, Canada, etc. God Bless political candidates — all of them, both those you like and those you really don’t like. They all need blessings. When you say God Bless You, you are asking for the best to happen for someone else. You don’t define what should happen. You simply ask for the best. That’s why you can safely say God Bless You for those you love as well as for those you don’t like — because the best will happen for anyone you bless without you having to specify exactly what will happen. That keeps things really simple. Bless both sides of a conflict. In the conflict between Russia and the Ukraine, God Bless Russia and God Bless the Ukraine. God Bless ISIS and God Bless their victims. God Bless those killed or injured in the Paris bombings and God Bless the terrorists. God Bless the Green Bay Packers and God Bless the Minnesota Vikings. Yes, you can even bless the mundane. Don’t complicate things. Don’t try to specify the blessing. You can specify who is blessed, but don’t specify the blessing. Simply bless that person, that event, that place, that time. You can’t figure out what should be best. None of us can. So don’t bother. Simply send the blessing: God Bless You Becky (that’s my dog). Don’t ask for anything. Again, simply bless the person, the situation, or whatever. When you ask for something, you twist the blessing. It’s much better to simply send a God Bless You to that person or situation. Let God work out the details.